Over the past month, we’ve seen a diverse mix of pro audio recording equipment. The list of microphones and recorders has sprawled to include almost 75 different models. Each sound pro featured in the “A Month of Field Recordists” uses their gear selections to hunt varied sound effects, from finicky optical equipment to stormy hurricanes to the tranquil calm of winter ambiences. Each pro has devised their own specialized tricks and techniques to capture their clips. While the gear, target, techniques, and sound pros themselves are widely diverse, they are linked by one thing: the craft of field recording. Field recording is distinct from other pro audio disciplines. How? Well, for one, mixing, editing, and Foley recording all take place within edit suites and mixing theatres. Field recordists are different. They are united by a defining characteristic: they strike out pursue sound clips beyond the cozy, acoustically treated walls of a sound studio. Such field recording missions may begin by capturing the city sounds, cats, and cars around us. Recording challenges grow the farther a recordist travels from a sound studio, requiring more specialized gear and innovative techniques. Today’s intrepid sound pro has travelled about as far as one can from an edit suite. For the past year, sound designer and field recordist Daan Hendriks has been recording sound fx in Africa. I had been following Daan’s fascinating experiences on his blog. I reached out to Daan to see if he was interested in sharing what equipment he uses to help him practice his craft in such a rare location. He kindly agreed. So, today, Daan Hendriks shares a kit designed to navigate the challenges of African field recording. He describes the diverse gear he needs to capture three types of tricky sound fx: focused birdsong, wildlife, and atmospheres. 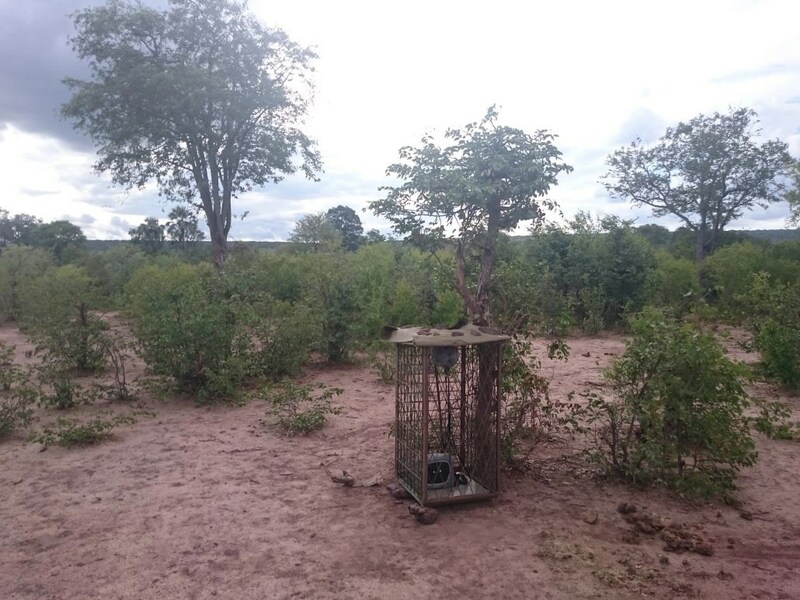 Daan also shares with us a special treat: an inventive trick for microphone positioning that helped him record remarkable wildlife sound fx on location in Africa. Sennheiser MKH 8040 pair in a Rycote ORTF mount – mostly used for stereo ambient recording. MKH 8040 + MKH 30 in modified Rode Blimp – mostly for stereo fx recording. Telinga Universal 2 Parabola (with MKH 8040) – for capturing individual birdsong. Sennheiser MKH 70 – for close up, outdoor recordings of individual species (mostly mammals). DPA 4060 pair – to get close to sound sources that only such tiny mics can get close to. JrF hydrophones pair – for underwater recording, of course. Trance Audio Stereo Inducer – two high quality contact mics with a preamp, quite a specific piece of kit that I don’t use very often, but when I do it’s as a layer in a multitrack session. Sony PCM-D100 – mostly, for when I’m lazy. Pretty good for close up sfx type of recordings. Telephone coils (2x) – for recording electromagnetic signals. In terms of recorders, it’s currently a Tascam DR–680 most of the time, though I also use a Sound Devices USBPre 2 as a preamp in the field. I’m however taking the plunge on a Zoom F8, as it’s too appealing a piece of kit to not give it a go. And for what it’s worth, I’ve considered a Sound Devices recorder for ages, and actually owned a 744T for a blue monday, but I must be the only person in the world who had it die on him on the very first day after purchase. So I’m sticking with relatively cheap recorders that have good preamps for the time being. In summary, all the mic rigs mentioned above are special tools for special scenarios. However, as currently my favourite subject to record tends to be wide stereo ambiences, the rig I use most often these days is the MKH 8040 ORTF. Then again, the answer to this question of ‘favourite kit’ is an always evolving one. Take the aforementioned ORTF setup for instance. While it sounds good, I know there are better solutions out there for wide stereo ambience – parallel boundary rigs with omni’s are the way to go. So, this is going to be my next upgrade when it comes to stereo ambiences. Why is it your preferred kit? Is there something in particular that makes it your combo of choice? For the sake of brevity, let’s stick with the MKH 8040 ORTF rig to answer this question. I went with this for a number of reasons. Of course, the MKH 8000 series first of all is known for good quality, rugged mics – low self noise (apart from 25 kHz and upwards, where they get terribly and unforgivably noisy), good sensitivity, reliable in the field, etc. Then on top of that, they are small; very important for me. The Rycote ORTF mount is just the most convenient, out-of-the-box way of doing ORTF while keeping your mics protected from wind buffeting and light rain. So this combo of the Rycote and the MKH’s is simply a logical choice for good sounding stereo ambiences that isn’t a hassle to set up or transport. But, as hinted on above, I’m in the process of ditching this system altogether and replacing it for a pair of omni’s, mounted in something like a SASS or a similar parallel boundary design. This will without a doubt dramatically improve the recording quality of the natural ambiences I like to capture. Essentially, what I’m after is a pseudo binaural effect, something that is fully enveloping like binaural is, but translates to speakers as well. This can be somewhat – to a limited extent – achieved with a pair of cardioids in ORTF, but properly spaced & baffled omni’s will be a far better choice for this desired result. I spent a few months in various countries in Africa this year, recording sounds of nature and wildlife, with the intention to release a sound library of this material later this year. As a lot of the recording sessions were done by leaving the microphones unattended somewhere in the bush for stretches often lasting 12 to 24 hours, the main problem I faced was keeping my equipment safe from the local wildlife. Baboons, elephants and hyenas were the biggest concerns, as they are all very curious and would almost certainly rip my stuff to pieces if they could get a hold of it. 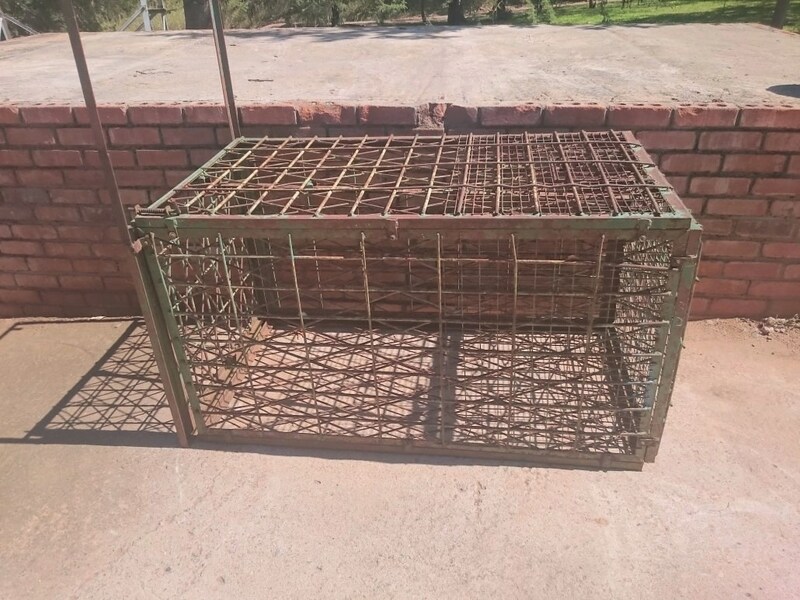 There’s been a few ways that I’ve ultimately tackled this problem, but my favourite (and most effective, though certainly most cumbersome) has been to use a big and heavy cage that is normally used to trap leopards. I borrowed this from the nature reserve in Zimbabwe where I was staying for two months. So my equipment was simply in a very strong cage. While an elephant could’ve pushed it over if they’d been so inclined, this luckily didn’t happen. My thanks to Daan Hendriks for sharing his field recording kit and experiences with us! Trance Audio Stereo Inducer contact microphones. Tascam DR–680 8-track audio recorder. Zoom F8 10-track audio recorder. Sound Devices USBPre 2 audio interface. To read the upcoming conclusion of the series, join the free newsletter, subscribe to the RSS feed, or follow me on Twitter. I’ll let you know when the next article is available.